If you love to stay in the most happening part of town, then our range of Surry Hills accommodation will land you in the thick of the Sydney buzz. An inner-city suburb that’s just a couple of kilometres from the CBD, Surry Hills has emerged from its scruffy days into an uber trendy hub of activity. And the best part? You’re still just a stone’s throw away from Central Station and various other Sydney hotspots, such as Paddington, Haymarket and Darlinghurst. What makes Surry Hills so unique is its vibrant art culture. There’s an air of sophistication to the area, with its small galleries and boutiques touting everything from art to design and fashion. Another massive reason Sydney-siders flock to the area is to satisfy their thirst and savour the eclectic urban dining scene that sprawls out onto the pavement. With many of the city’s most creative restaurants, funky bars and upmarket pubs, Surry Hills is alive and pulsing come night. Shopping is another favourite pastime in these parts, with Bourke Street and Crown Street popular retail thoroughfares. Offering a mixture of high-end fashion, quirky gift shops and speciality stores, it’s all too easy find yourself carrying a shopping bag home containing a designer garment, a Mexican throw rug, or a limited edition print. Antique-lovers and vintage clothes hoarders will be delighted with the droves of emporiums and shopfronts recycling treasures from the past. If you happen to be around on the first Saturday of the month, the open-air Surry Hills Markets specialise in handmade, second-hand and recycled bits and bobs. Surry Hills shopping is all for sustainability, forward-thinking designs and unique fashion. For entertainment – and a piece of history – Belvoir St Theatre is one of Australia’s most celebrated theatre companies. With the country’s best playwrights, directors and actors, the Belvoir’s program spans every month of the year and tours nationally and internationally. 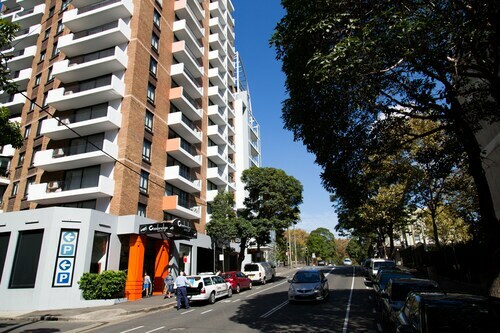 Being in such a central location, getting around Surry Hills is easiest on foot. It’s also easy to hail down a cab on the street. Central Station – the key interchange point for buses, coaches and trams – is just a short walk away, and buses run through Surry Hills to various locations. So wot’s stopping you from discovering the charm of Surry Hills? 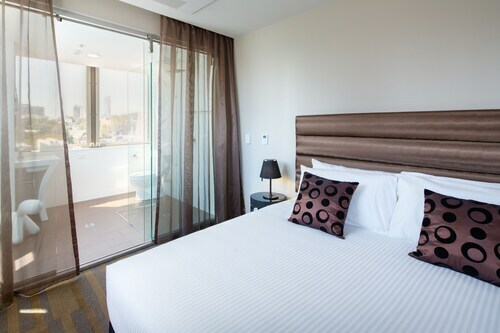 Book your Surry Hills hotel today! How Much is a Hotel Room in Surry Hills? 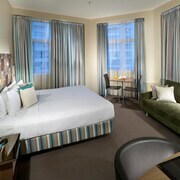 Hotels in Surry Hills start at AU$81 per night. Prices and availability subject to change. Additional terms may apply. Location is excellent - easy to get to. We had a concert in Oxford St so it was 3 mins walk. Had no car so walked from Museum Stn (5-7 mins). Room was very good - nice and clean.